Just opposite the entrance to Marineland on Portage Road in the general vicinity of the Rapids View parking lot above the falls and south of Chippawa was where the Sky View Lines began operating sightseeing flights at night over the falls to view their illumination. 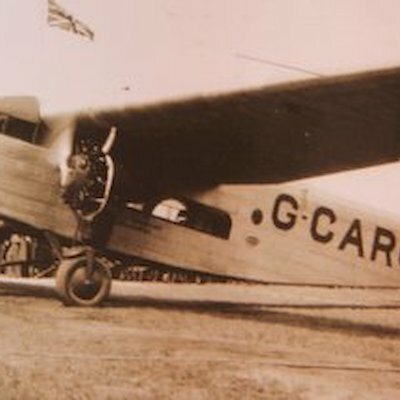 The first flight took place on July 4, 1928. 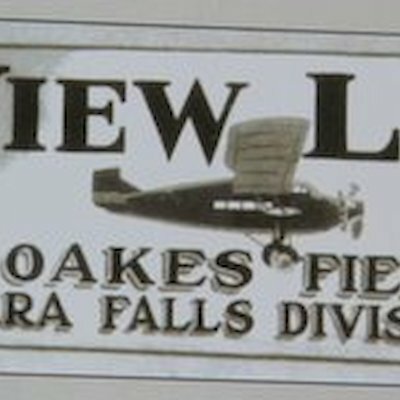 It was a large tri-motor plane owned by Sir Harry Oakes named, “Miss Niagara” that carried 12 passengers at a time for a fee of $5.00 each over the falls to view the falls at night. The service operated from 1928 until 1931. It was not until 1960 that aerial flights over the falls took off again. Today sightseeing flights either by helicopter or airplanes are not permitted to fly over the falls after sunset. Miss Niagara has been lovingly restored and now resides in Minnesota. Attached are a few photos from the Niagara Falls Heritage Collection.